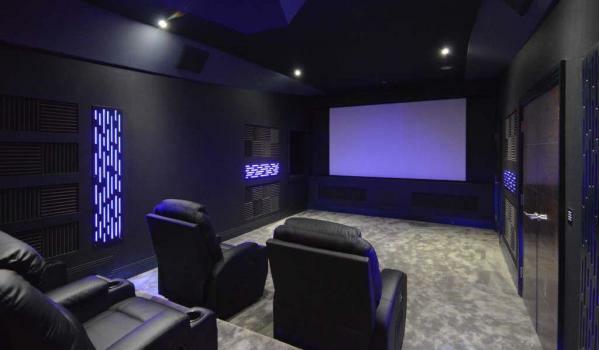 As you might expect from a home that sits just off a road that’s better known as ‘Billionaire’s Row’, the home cinema room tucked away on its lower ground floor is lavish enough for an A-list screening. 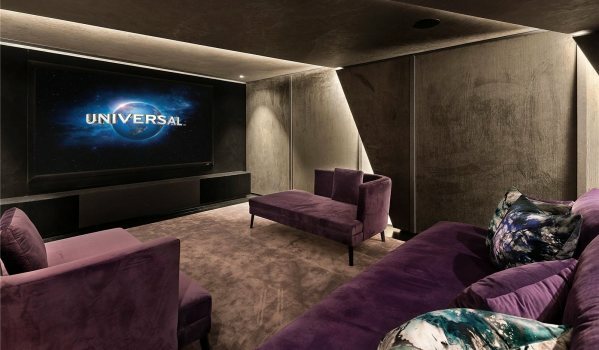 The plush velvet-panelled cinema comes with a full HD projector and screen along with hidden integrated bar. You can’t judge a house by its Blu-Ray cover, as this unassuming family home in a trendy marina development proves. 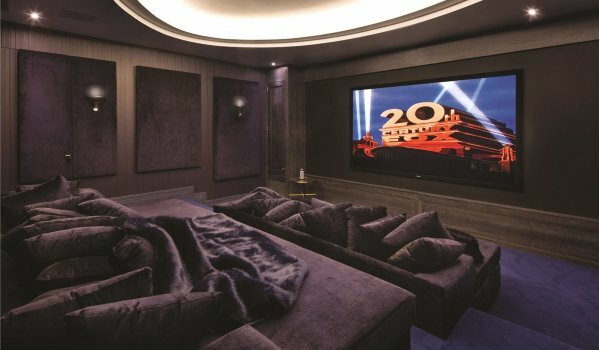 It contains a bespoke home cinema with raised oak and leather seating that comes complete with cupholders, fitted cupboards for storing your film collection and LED downlighting to set the mood. 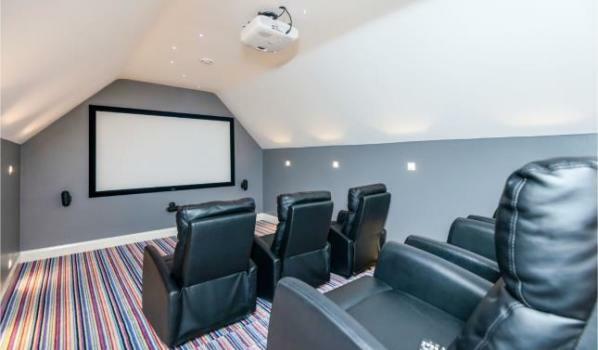 Join the dark side with this seven-seater home cinema room that appears to have been inspired by the Death Star from Star Wars. With a 7.1 surround sound set-up, an Epson projector with 3D and HD projection and a 138-inch Sapphire screen, it’s the perfect place to marathon your favourite films from a long time ago in a galaxy far, far away. 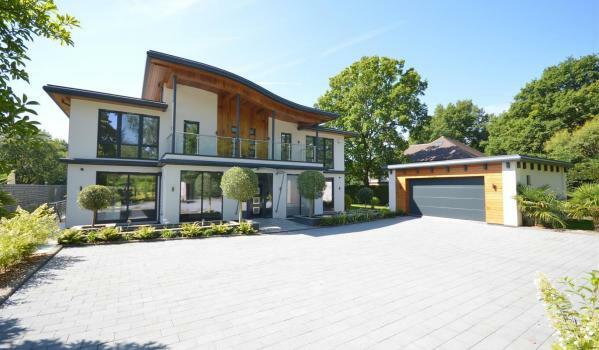 This modern family home was featured in Home Cinema Magazine thanks to its 4k Sony cinema projector and full Doby Atmos surround sound that can be linked up to an X Box or Playstation. 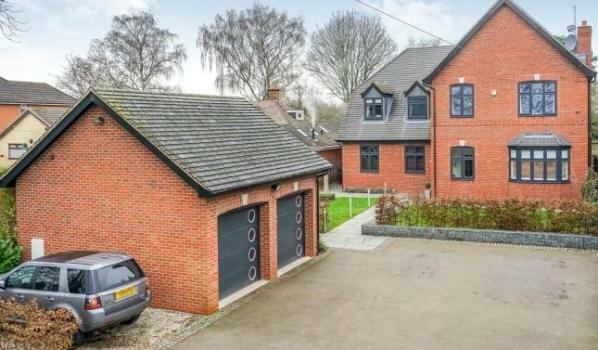 It even has underfloor heating and a huge two-way mirror with an on off button to let more light in when the space isn’t being used for films. 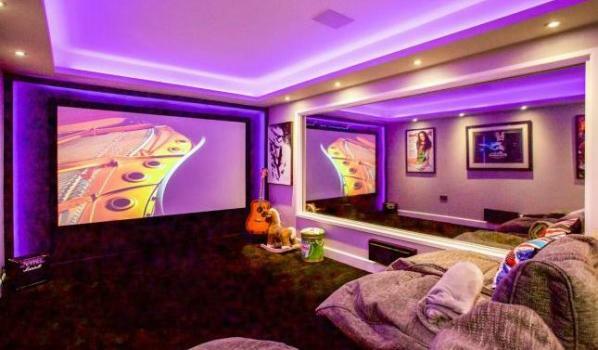 Why trek into town to watch a movie, when you could relax in this modern home cinema with your own snacks and never have to worry about missing part of the film for a toilet break. 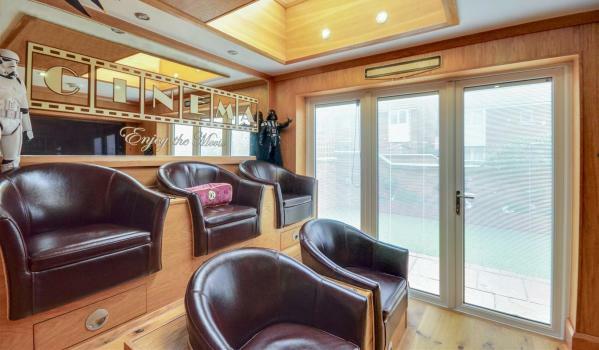 This one’s kitted out with the six leather seats, built in surround sound, a projector control cupboard and underfloor heating to keep you cosy. 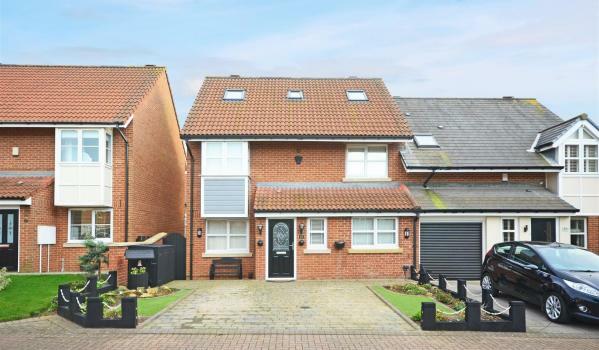 We’re finishing up with another blockbuster property. 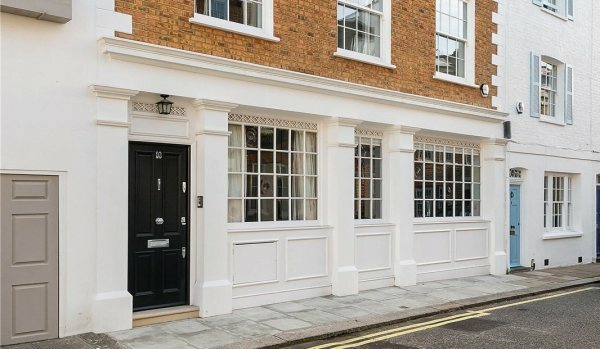 This five-storey house in exclusive Knightsbridge is packed full of perks, but the chic home cinema room is the star of the show. With its deep velvet sofas and atmospheric lighting, it’s the perfect spot to settle in to watch this year’s Oscar contenders. 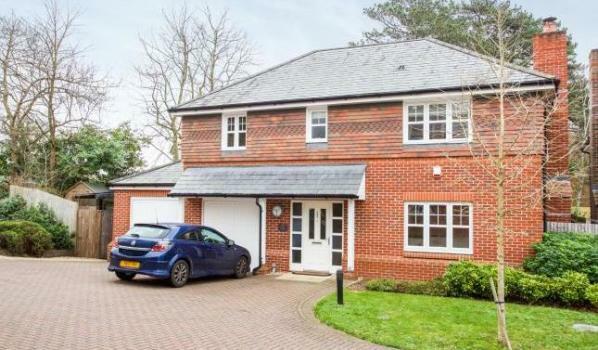 Could property guardianship be for you?